Fact: More than half the federal land leased for energy drilling is unexplored. Energy firms say it wouldn’t be profitable enough. Oil companies are sitting on vast areas of federal land leased for oil exploration. There is no profit incentive to proceed. More than half the federally owned land approved for oil exploration and leased to energy firms for that purpose is going unexploited – because the companies holding the rights say it would be economically infeasible. 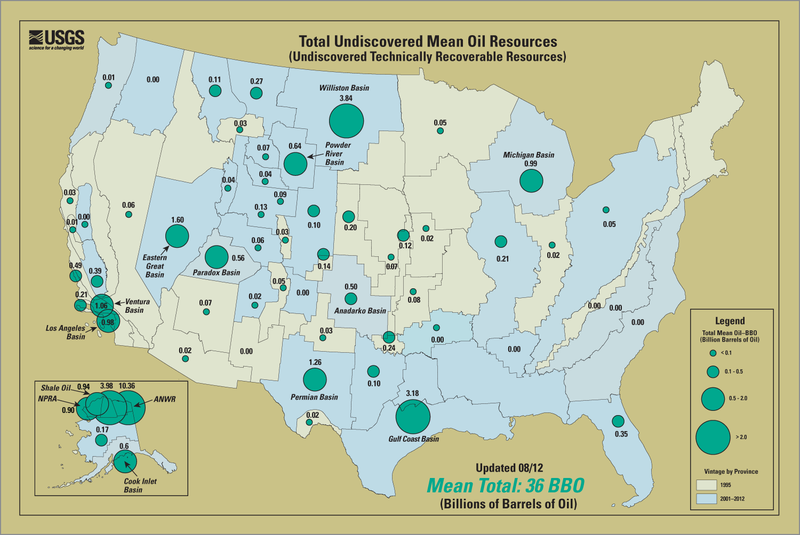 175 billion barrels of oil lie under federally owned land. 70 percent of that land has been approved for exploration and drilling. But 56 percent of it goes untapped. Offshore exploration is even more modest, with 72 percent of the area leased to energy interests not producing oil. The Congressional Budget Office says the leaseholders are waiting until oil production becomes more profitable. In the meantime, the government makes a profit on the leases whether or not the energy companies act. Today’s slideshow reveals how much – and more. After you check it out, check out “What Do Others Say?” below for views and ideas on the elusive goal of “energy independence.” In our discussion thread, share what you think about domestic drilling. Worth the risk and cost? Congressional Budget Office: "Potential Budgetary Effects of Immediately Opening Most Federal Lands to Oil and Gas Leasing"
U.S. Geological Survey: "Total Undiscovered Mean Oil Resources"
Department of Interior: "Estimated Undiscovered, Economically Recoverable Resources"
CNN: "Fact check: Oil and natural gas production under Obama"
Bloomberg Businessweek: "Federal Land Plays Key Role in U.S. Oil and Gas"